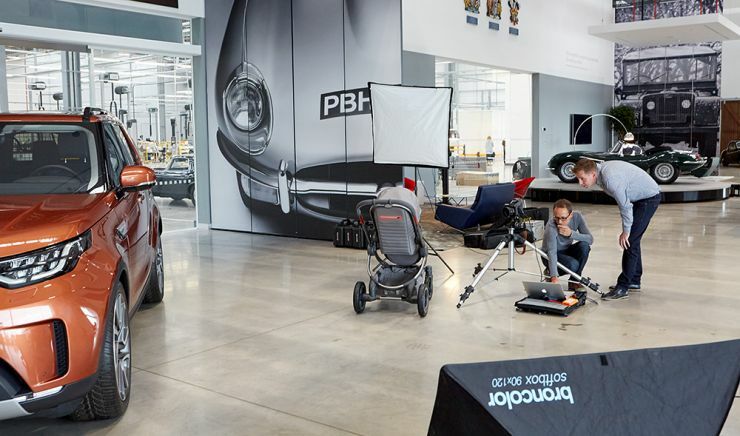 It was a tight schedule with one day to visit the Landrover Jaguar classic car division at their Coventry base to photograph a new pushchair. 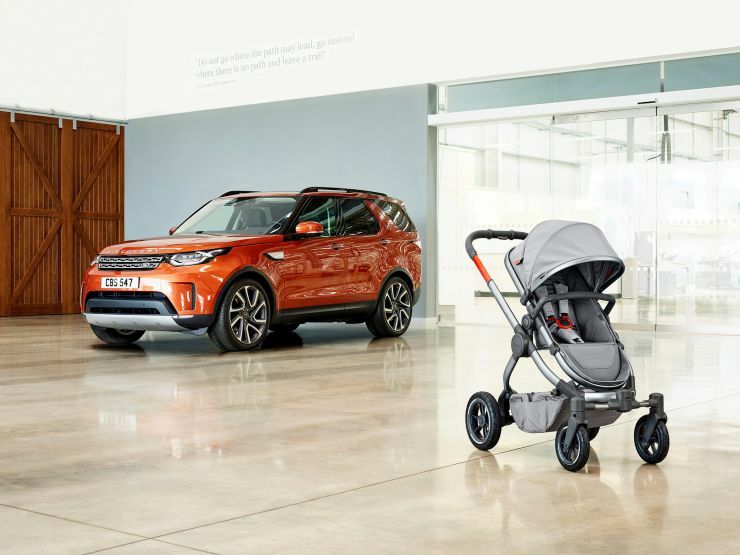 The product was a result of several years collaboration between Landrover and iCandyworld and was to be kept top secret until the launch the week following the shoot. 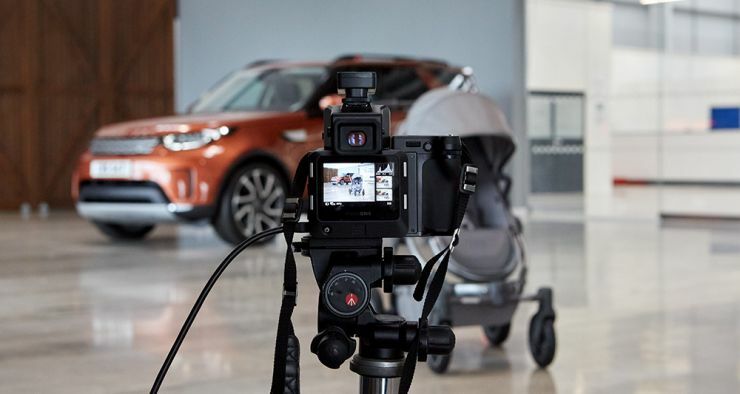 The brief was to photograph the new pushchair with the new Landrover Discovery in the background, a wide shot and some close-ups to show the exclusive design details. After moving some of the classic cars around the showroom and positioning the Discovery we got stuck into the photography. Camera exposure was carefully calculated as there was a whole mix of lighting in the showroom consisting of daylight, fluorescent lights (which we couldn’t turn off), and my flash lights. A technique called focus stacking was used to keep both car and pushchair in focus, a set of 16bit high res images processed in the Helicon Focus application to create one image, then imported into Photoshop. There was a lot of retouching to do later back in the studio, the surrounding walls and floor, the pushchair and on the car, taking out a door and wall light in the background too. The working file in Photoshop was getting bigger and bigger with all the layers, topping 2.9Gb, once flattened and converted too 8bit it came in at a comfortable 289mb tif.